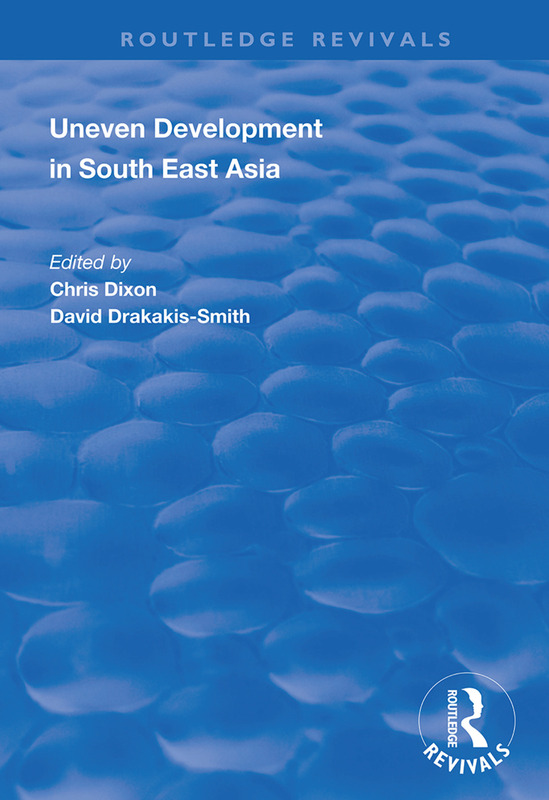 First published in 1997, this volume responds to the rapid change in mid-1980s South East Asia, exploring the uneven distribution of development within the region and providing broad coverage of different aspects of this unevenness at both the regional and national levels. Specialists in economics, geography, planning and South East Asian studies contribute on issues including ethnicity and development in Malaysia, disadvantaged groups in Singapore and the impact of social and historical forces on uneven development in the region. 1. Contemporary and Historical Perspectives on Uneven Development in South East Asia. Chris Dixon and David Drakakis-Smith. 2. The Challenge from South East Asia: Social Forces between Equity and Growth. Johannes Dragsbaek Schmidt. 3. Poverty in South East Asia: Some Comparative Estimates. Anne Booth. 4. The Price of Success: Disadvantaged Groups in Singapore. Gillian Davidson and David Drakakis-Smith. 5. Fringes or Frontiers? Gender and Export-Oriented Development in the Philippines. Cathy McIlwaine. 6. Ethnicity and Development in Malaysia. Jill Eyre. 7. Uneven Development and the (Re-)engagement of Laos. Jonathan Rigg. 8. Foreign Investment and the Spatial Pattern of Growth in Vietnam. Curt Nestor. 9. The Extended Bangkok Metropolitan Region and Uneven Industrial Development in Thailand. Luxmon Wongsuphasawat.